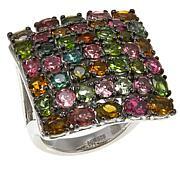 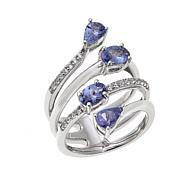 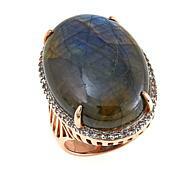 Reach for a touch of the exotic with this shimmering, labradorite and zircon ring. 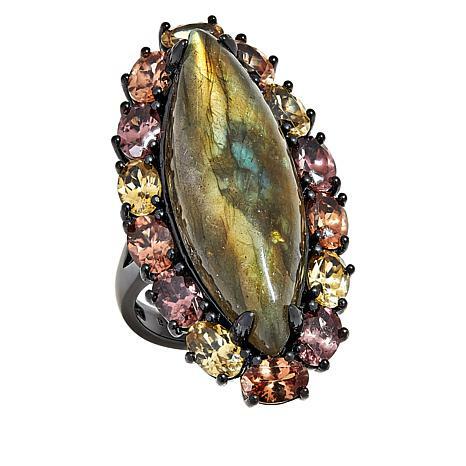 You'll admire the iridescent sheen of the large labradorite center stone and delight at the pale pink, orange and yellow zircon stones that surround it. 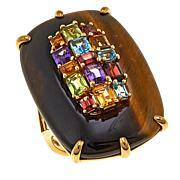 Slip on this chic stunner to bring a bit of mystery and intrigue to any outfit!